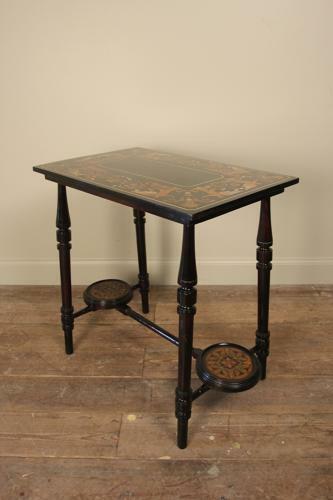 A highly stylish and decorative lacquered and painted occasional table, having a rectangular top with hand painted decoration of Angels and foliage. Raised on turned and tapering legs with "H" stretcher with 2 round shelves also with painted decoration and moulded surrounds. English, dated 1912.